Depending on your settings and on the number of cards you allow customers to maintain on file, you'll be offered different Card Save Options (see below) when processing an unsaved credit card using the Use New Card button. Click the Payment button on a Family's page or click the Save Fee & Pay Now button on the Make Sale/Post Fee page. Pmt Type defaults to Payment (Credit) and it should not be changed. It's not necessary to enter a Method of payment. This will be auto-assigned based on the payment method used, eg. Visa, Mastercard or Bank Account. To apply the payment to specific fees, click the Apply Amt field for the specific fee to be paid. 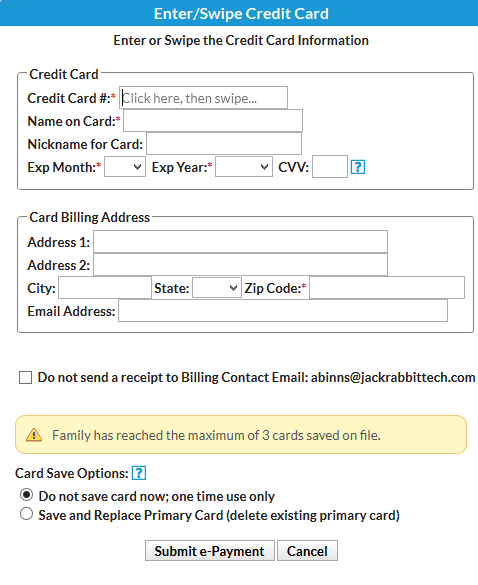 When you click the field, Jackrabbit will pre-fill the amount in, however, this can be edited to a different amount if applicable. Click the Use New Card button. 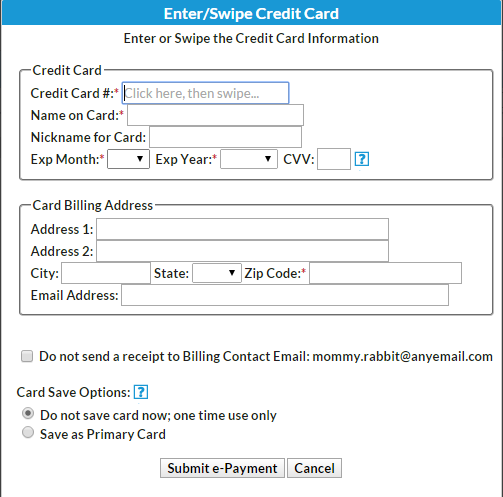 In the Enter/Swipe Credit Card pop-up box, enter the credit card information (or use your credit card swiper). 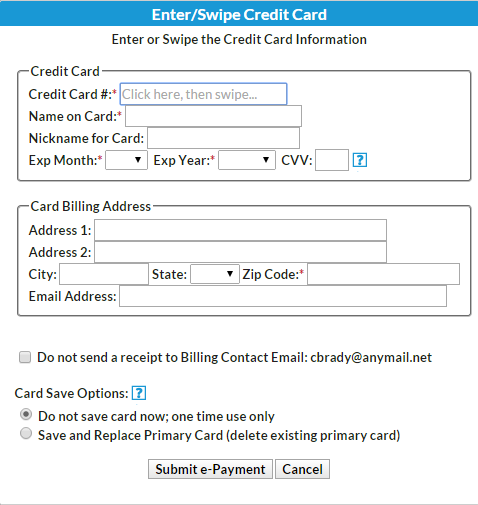 Enter the Card Billing Address and an Email Address. Note that the Zip Code is a required field. 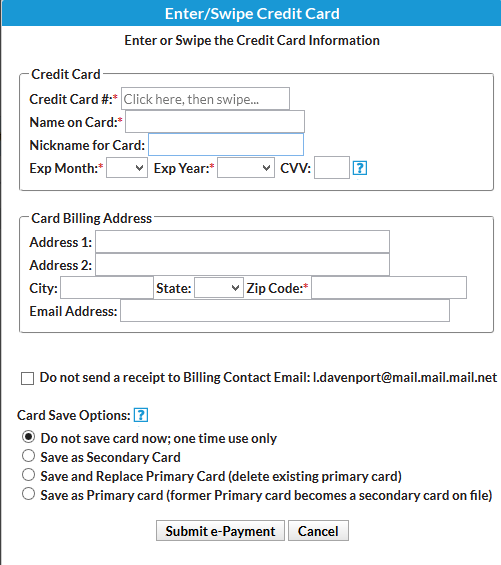 If you do not want to send a receipt to the Billing Contact Email, check the appropriate box. Choose a Card Save Option (see below). Jackrabbit transmits the request for payment to your merchant processor and receives an approved or declined message. A new pop-up box opens and displays the approved or declined details. Click OK. The information is recorded on the Family's Transactions tab, and the family balance is updated accordingly.